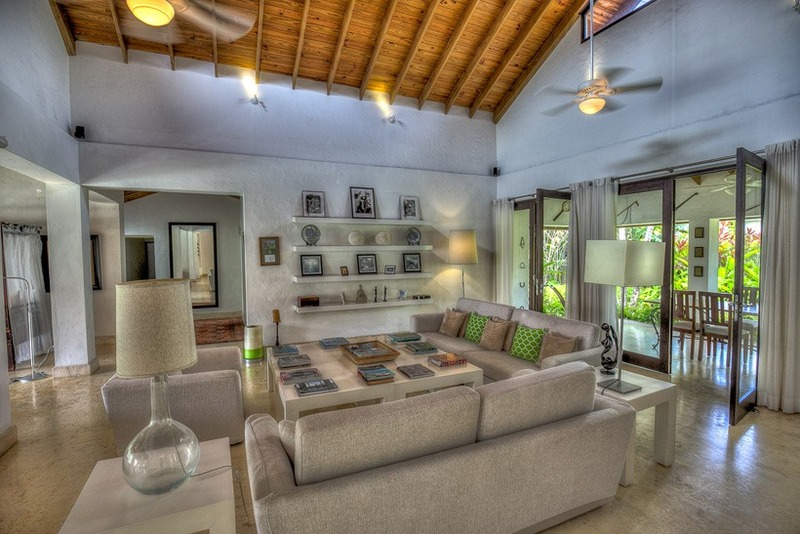 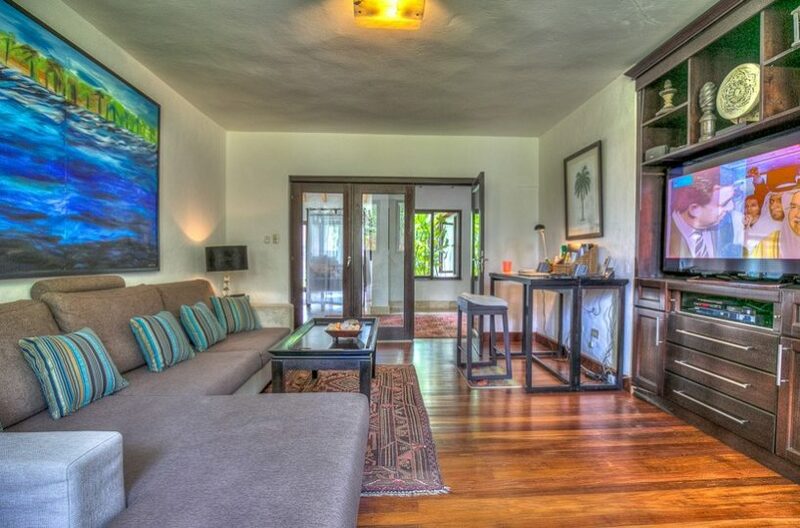 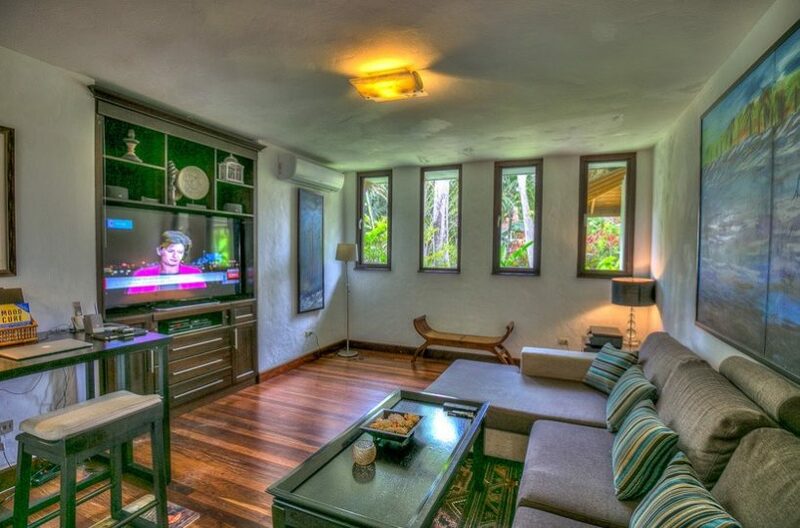 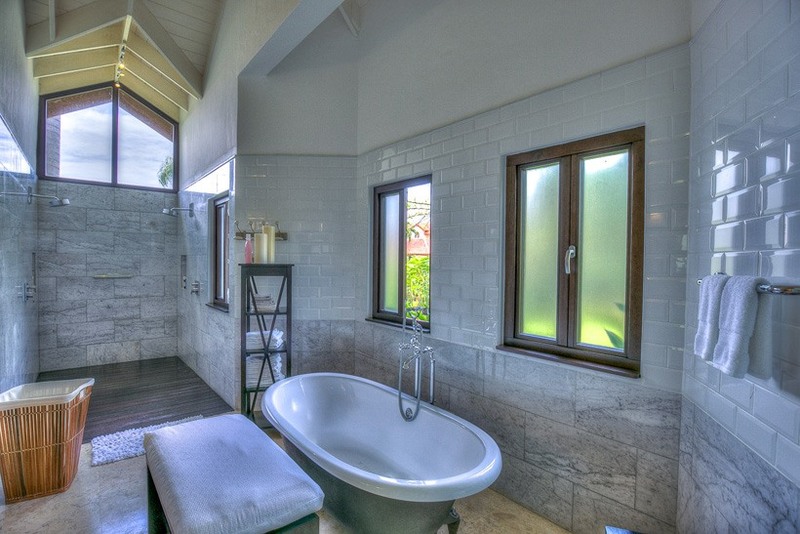 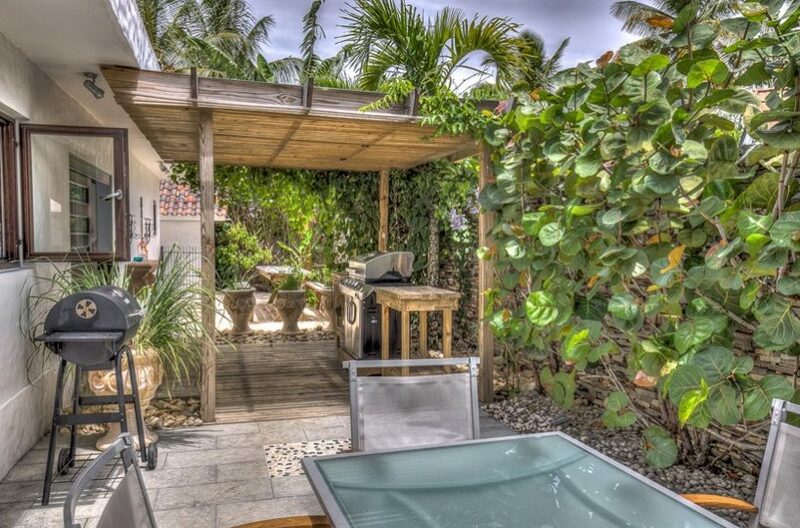 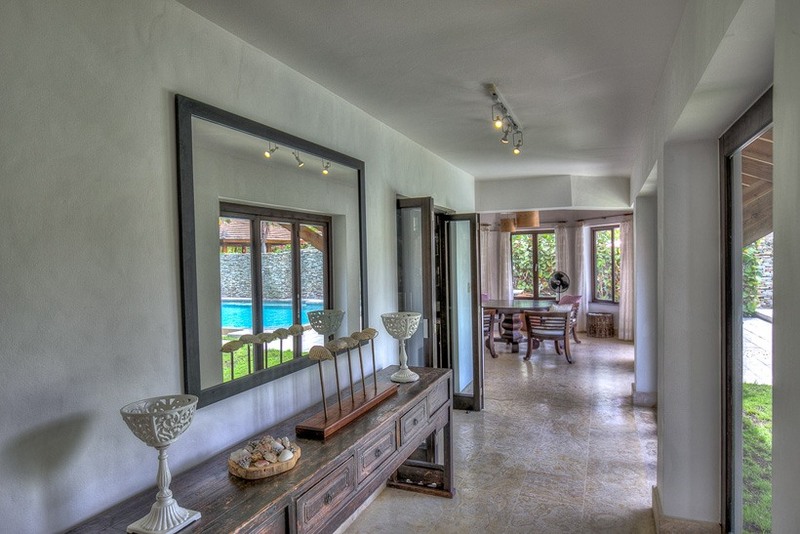 This Cabarete villa rental interior design and modern style set it apart from standard vacation rentals. 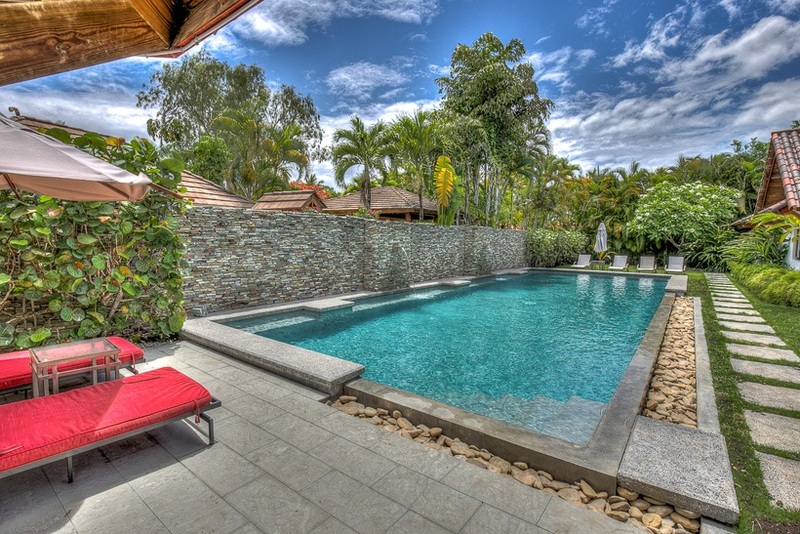 The fluidity of a magnificent reflective pool and Japanese inspired outdoor living space are the design focal point of Villa Nirvana. 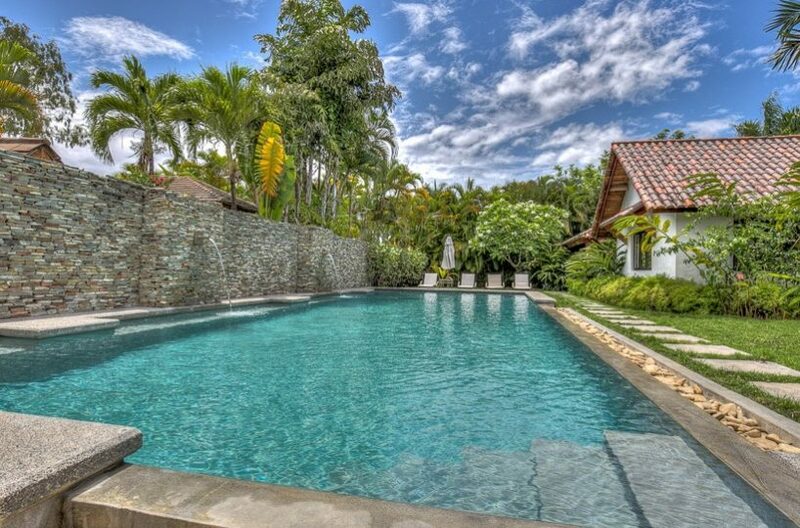 The simple and elegant use of marble, cedar, and stone communicate harmoniously with the water reflection of the pool and the surrounding tropical garden. Located in the exclusive gated resort of Sea Horse Ranch, guests have access to the upscale amenities and enjoy close proximity to local attractions in Cabarete. The villa’s soaring foyer entryway and expansive living area open to magical exterior views allowing for guests to maintain a connection with the natural setting. Skylights capture your attention and embrace the blue-sky visuals, erasing the boundaries between interior and exterior. 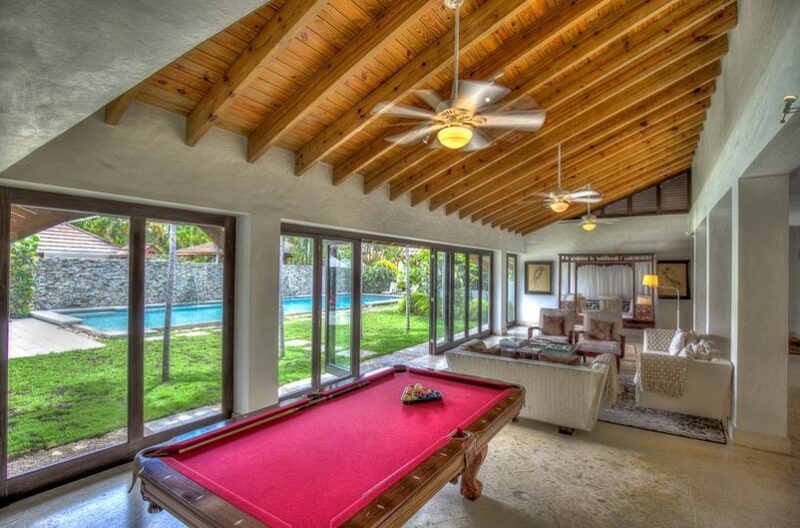 The open living room features a vaulted ceiling, surround sound system, stylish and comfortable seating areas with a Chinese daybed for lounging or additional guests. A pool patio, with the Japanese-inspired slate stone wall, is complete with a waterfall fountain and connects to a rectangular lap pool. 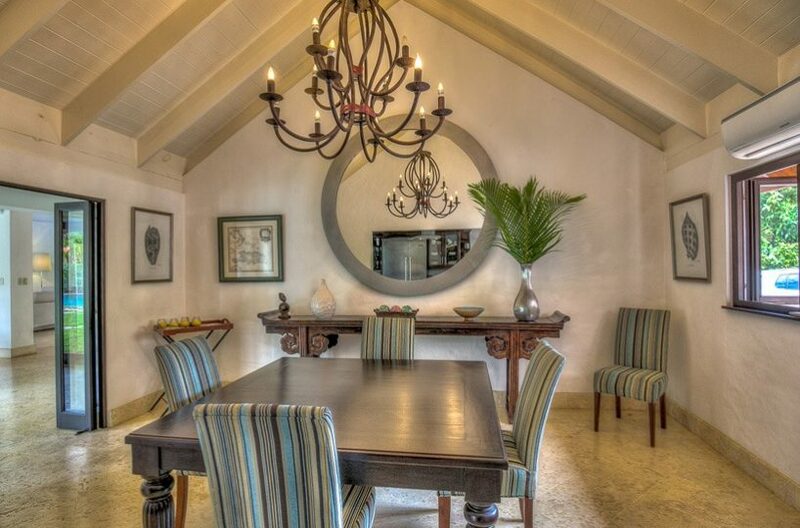 Villa meals may be enjoyed in an elegant dining room that can close for an intimate get-together, or an outdoor patio dining table for al-fresco entertaining, which is complete with a buffet nook. Hosts will appreciate a social kitchen with custom state of the art cabinetry that closes automatically. 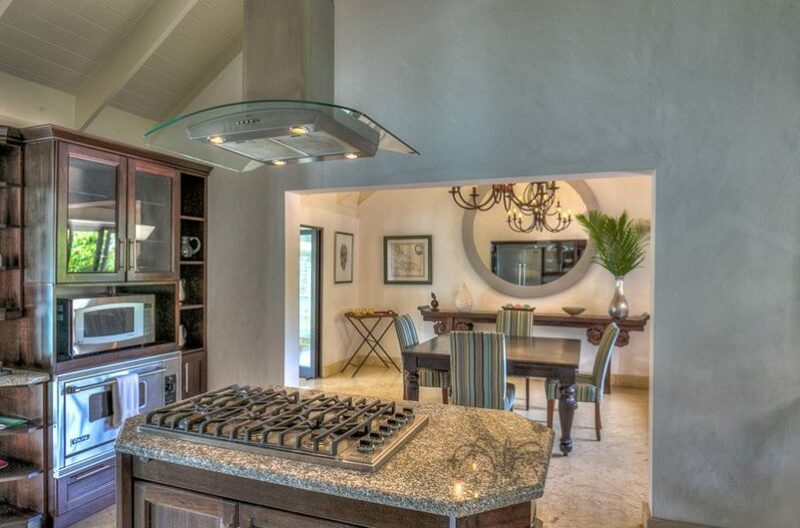 An equally appointed staff kitchen has classic granite counters, Viking and General Electric stainless steel appliances. 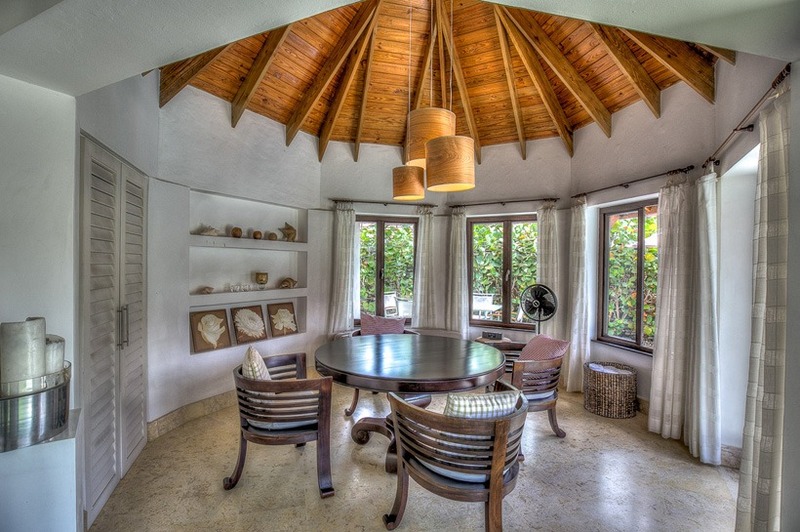 Design finishes like shell fossil imbued coral floors are soft and cool to the touch and are the preferred floors of stylish Dominican residences like Oscar de la Renta. 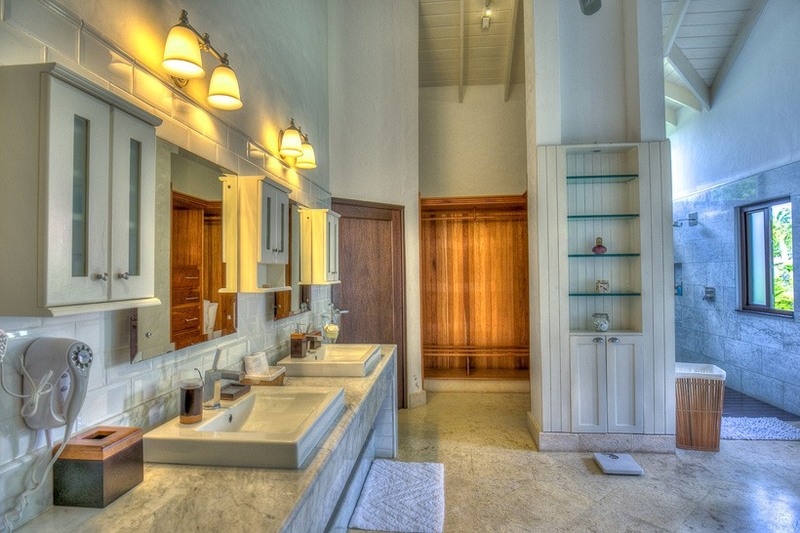 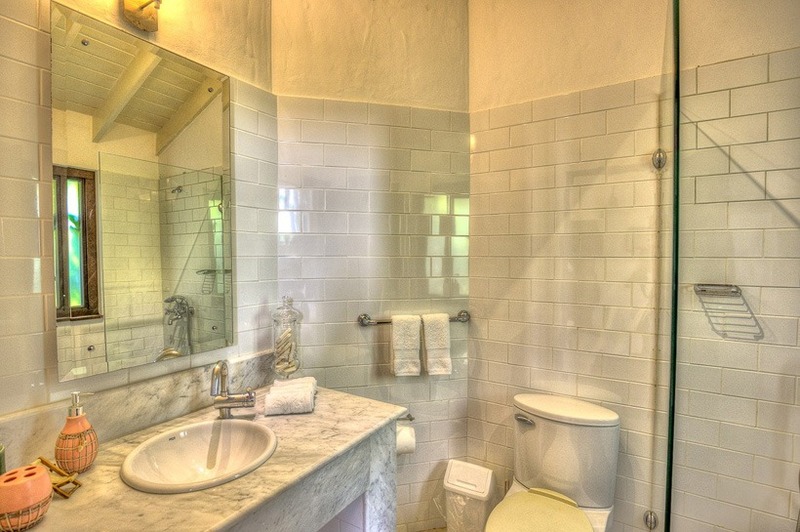 Bathrooms are spa inspired with carrara marble vanities, showers with coral and teak accents and impeccably timeless white tiles. 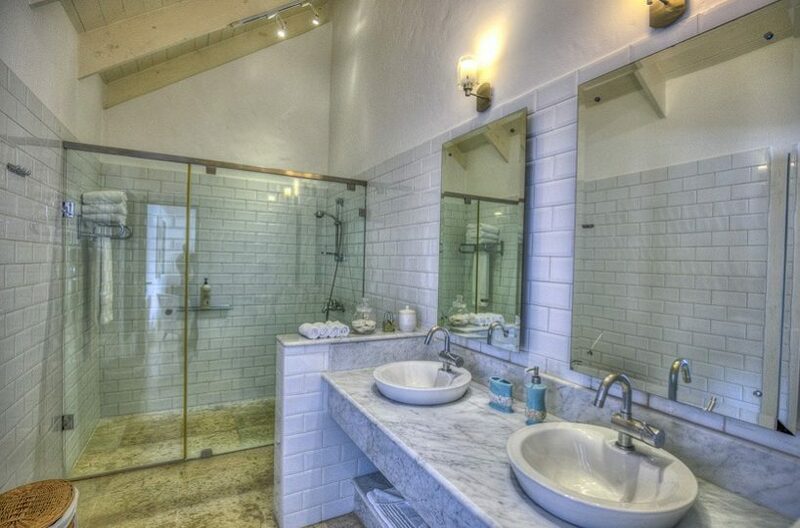 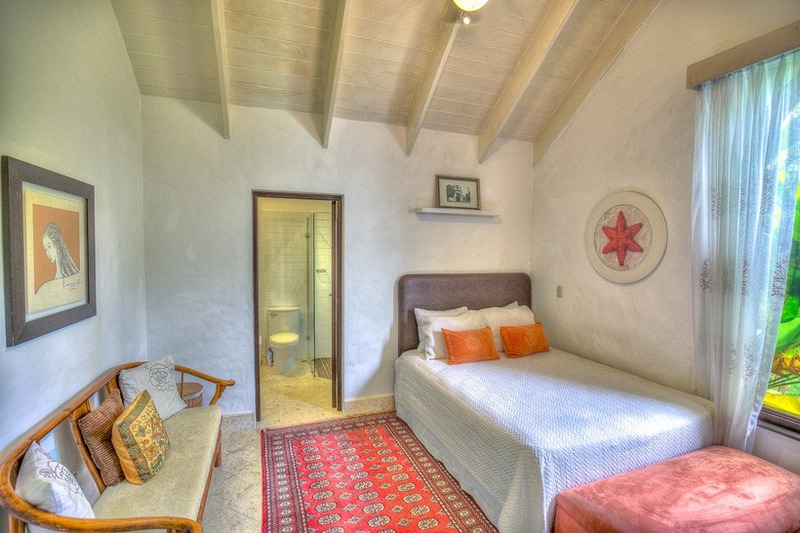 The Master bedroom features an en-suite bath with oversized his-and-hers showers, a vintage inspired bathtub and separate toilet and bidet quarter. 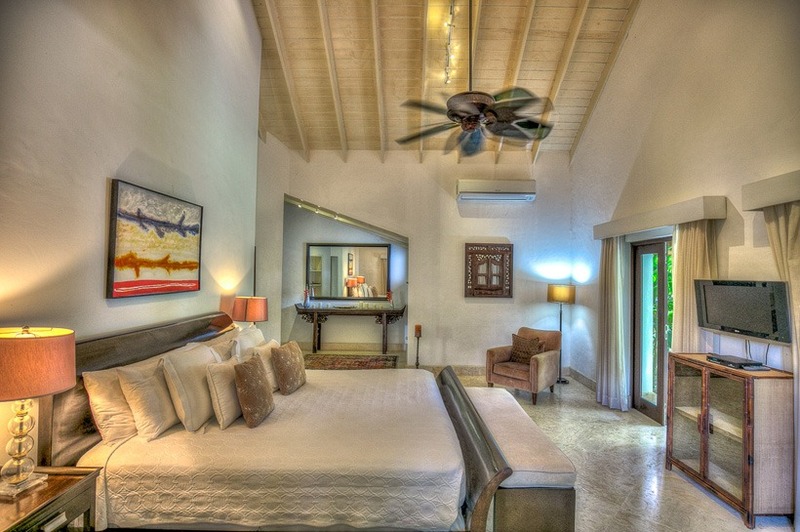 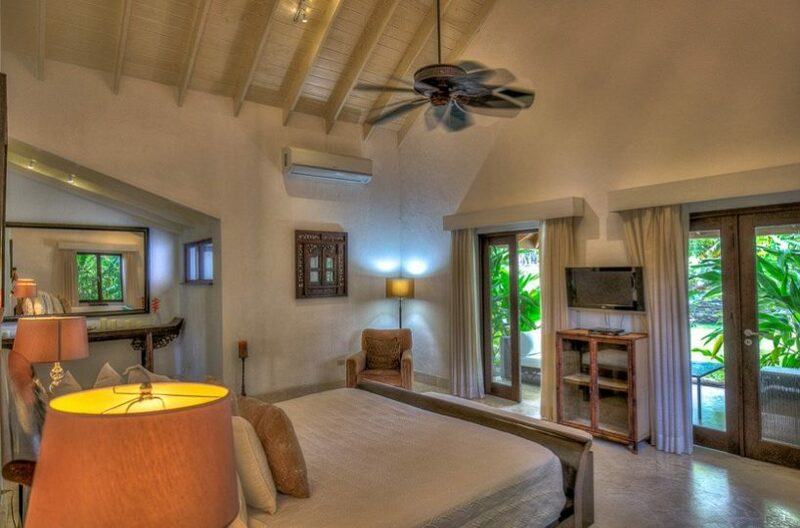 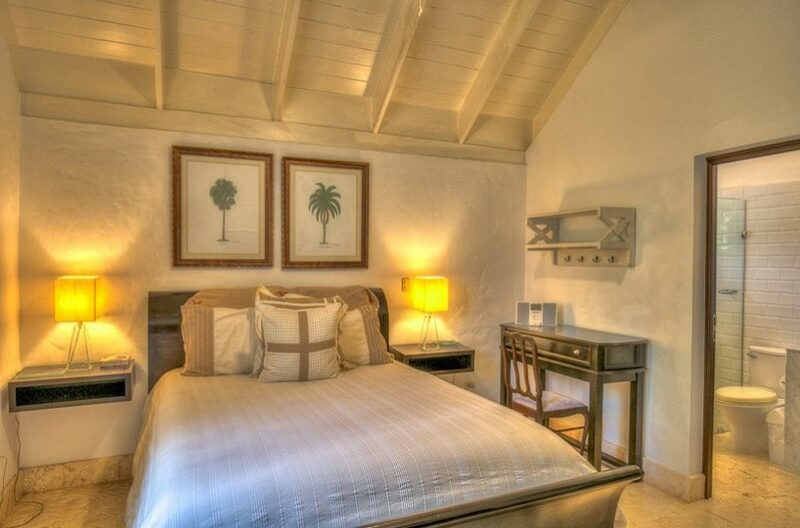 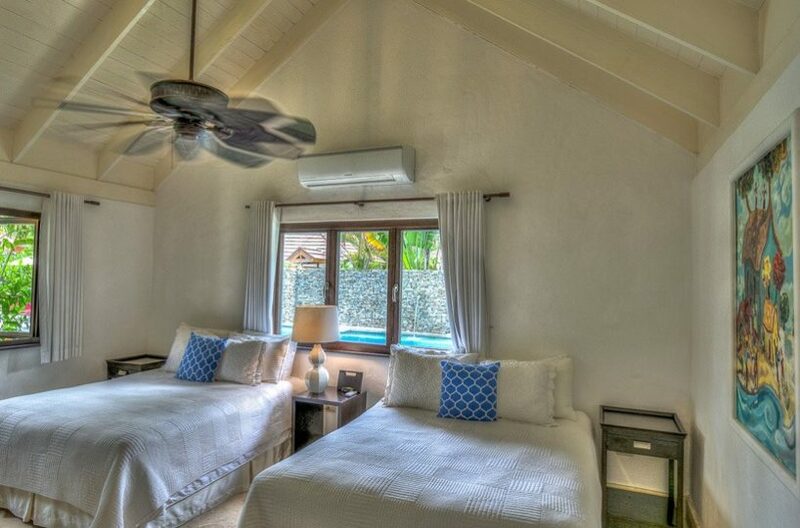 All guest bedrooms are supremely furnished in hardwood sleigh beds or soft headboards with reading lights, ample dresser space, custom cedar closets, comfortable chairs, Persian and local rugs and fine Caribbean art. Villa Nirvana redefines modern Caribbean living and evokes the balance of Japanese inspired minimalism. 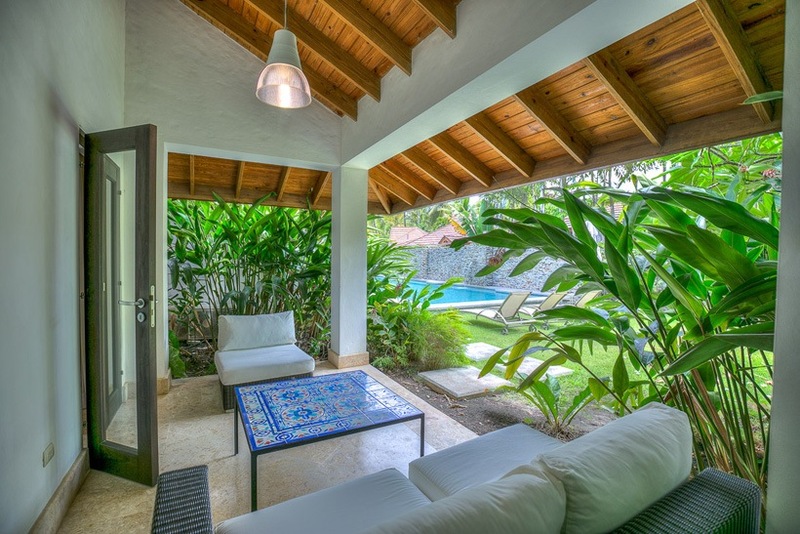 The interior and architectural design enable guests to immerse themselves in the magically wondrous setting of the Dominican Republic.